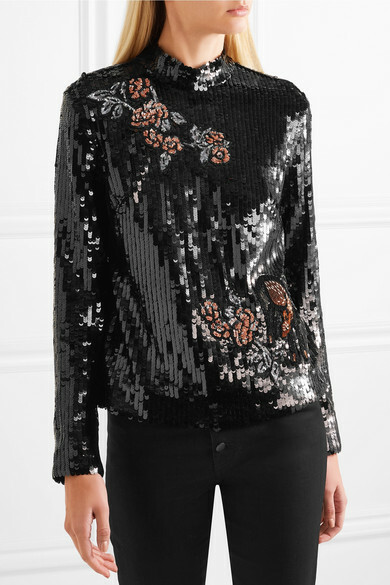 Markus Lupfer is no stranger to sequins, and has pulled out all stops with this striking 'Valentine' top. 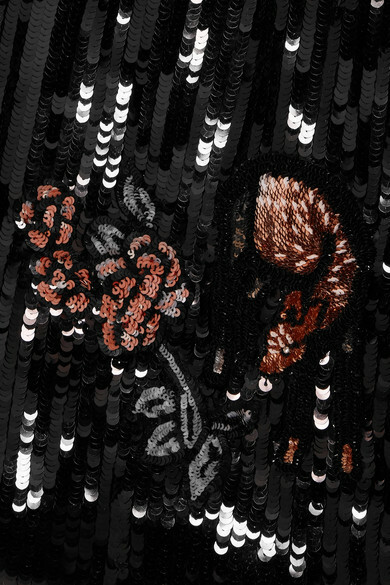 It's coated with scores of the light-catching discs, and embroidered with whimsical floral and deer motifs. We love how it's styled in the Fall '18 lookbook - with the matching skirt and shoulder-skimming earrings. Shown here with: Joseph Jeans, STAUD Bucket bag, BY FAR Sandals.